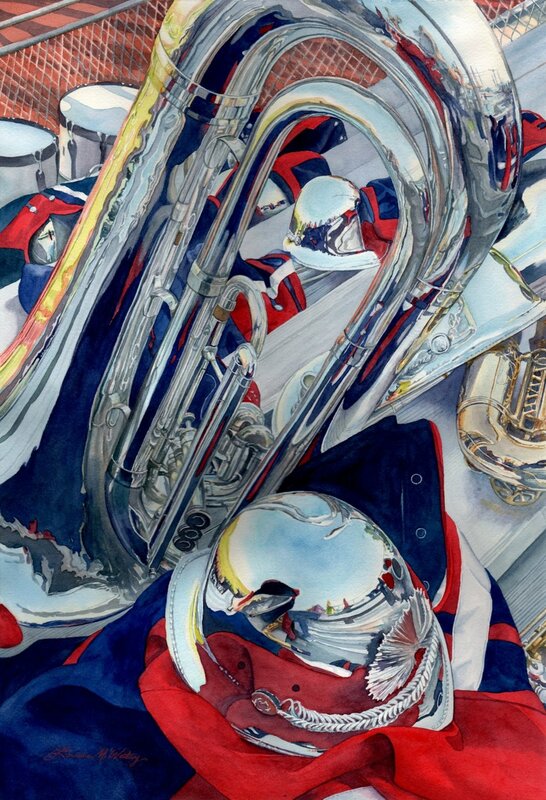 Story Behind This Painting: This watercolor of a tuba and band uniforms was my first band painting. I took this photo while the band was on a break and they had left their uniform tops and helmets in the stands. I was attracted to the scene because of the reflections of red and blue in the horn and and helmets. The warm afternoon light also gave the scene a wonderful warm atmosphere. Before I started the painting, I made some changes to the composition to give it a better flow.